HAYWARD – ArcBotics, a leading educational robotics company based in California, is pleased to announce the launch of Hubert the Humanoid: Your Advanced Robotics Study Buddy, a research-grade open source humanoid robot, on Kickstarter. ArcBotics’ mission is to help anyone learn robotics, no matter their background or current skill level. It is undeniable that robots will play a part in every part of our collective futures, and in many ways, they already do. They believe that by understanding how robots work can we control our own futures, rather than allow technology to control us. Hubert is designed for anyone pursuing robotics and want the most affordable, top-to-bottom college-level robotics class you’ll ever find – while getting to use your own humanoid robot. 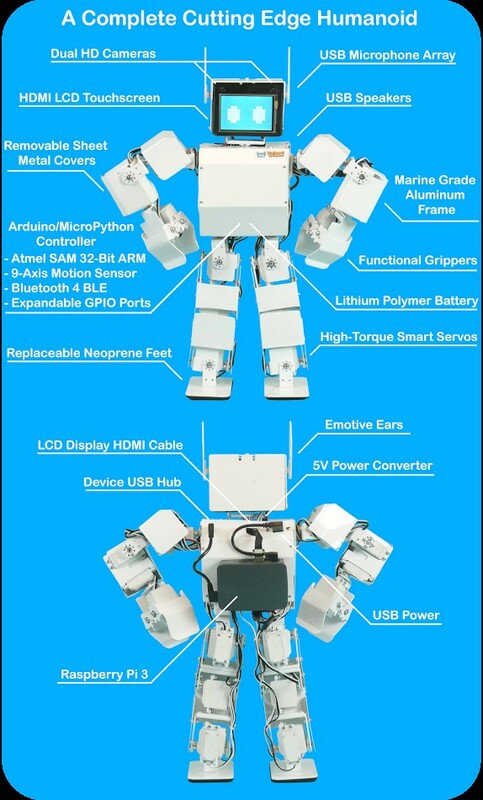 Hubert is designed for educators, roboticists who want to compete in robotics competitions, researchers, pro-users, and hobbyists new to robotics who are looking for a humanoid robot that is ready-to-go. 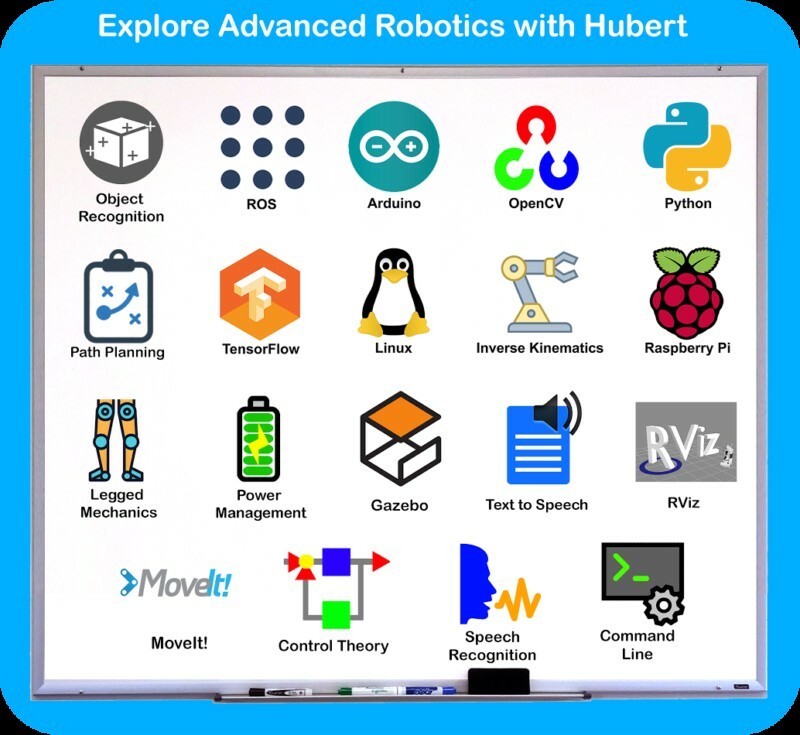 They have created Hubert to make a full suite of college-level robotics lessons cheaper than the cost of a single robotics class. Hubert runs the same software that today’s leading robotics companies and universities are running. Similar robots have been used in the leading universities – but starting at 10x the price. 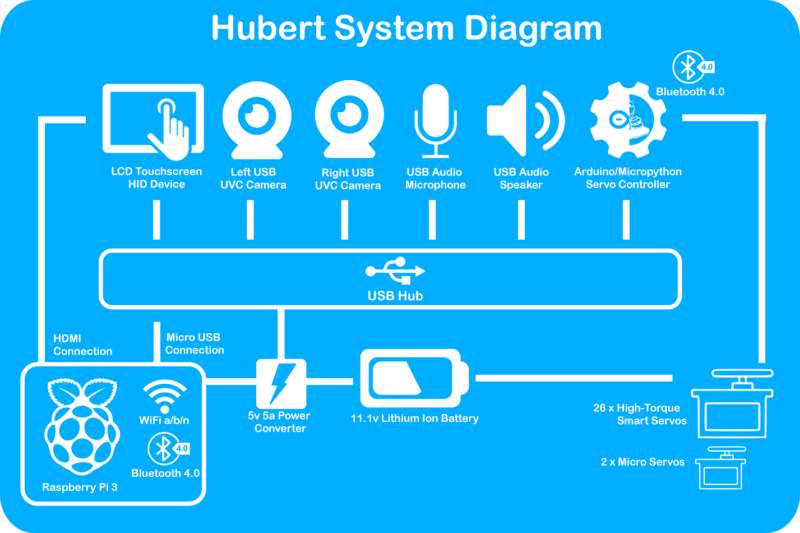 Hubert is starting at $599 USD on Kickstarter, retailing for $1,199 USD, and is 100% Open Source Hardware. ArcBotics will be releasing in-depth, free web tutorials to help train anyone to become a robotics engineer in the latest topics such as: ROS, Arduino, OpenCV, Object Recognition, TensorFlow, Inverse Kinematics, Control Theory, MoveIt!, Power Management, Path Planning, Legged Mechanics, Python, and so much more. About ArcBotics Since 2012, ArcBotics has been making robotics accessible by creating full-feature robots designed for different age groups and skill levels, with extensive, step-by-step documentation and open sourcing the hardware and software. They previously launched 2 successful Kickstarter campaigns for Hexy the Hexapod and Sparki the Easy Robot for Everyone, raising $360,000 and shipping to over 2500 backers. Since then, they have grown to ship tens of thousands of robots to homes, STEM programs, and universities around the world like Stanford, MIT, and Northwestern. Their robots can be found at global retailers like Barnes and Noble, Adafruit, RobotShop, DFRobot, and more. Dieser Eintrag wurde veröffentlicht in Crowdfunding, English, General, Hardware, Programming und verschlagwortet mit ArcBotics, Arduino, Hubert, Humanoid, Inverse Kinematics, Kickstarter, Open Source Hardware, OpenCV, Python, Raspberry Pi, ROS, TensorFlow von Sebastian Trella. Permanenter Link zum Eintrag.